Get £500 paid as a discount on fees at Nested when you sell your house. Click Get Deal to be taken to the Nested website. Once you have submitted your details the credit will be auto applied and you will save £500 off your fees. Once you’ve made a sale with Nested, you too can access their refer a friend program. Here you can any invite friends and family also looking to sell, and once they reach the stage of exchanging a sale you’ll receive John Lewis vouchers worth £500! Your referral will also receive a £500 discount on fees if a home sale is made through Nested. 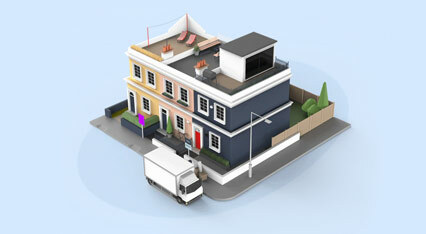 Nested is an estate agents in London with a difference. Using live data and their expert knowledge of the market, Nested can offer a proactive supportive sale and even an advance on your home sale making you chain free, giving you the freedom to move home when best suits you. Take advantage of the dedicated team of experts at Nested to sell your home.